Spending Too Much Time and Money on Compliance? As fiduciaries, wealth management firms must be able to manage and track all investment recommendations to ensure they are in the best interest of their clients. 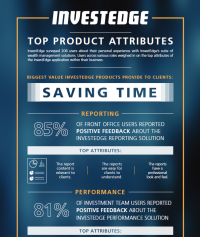 InvestEdge enables firms to create customized investment recommendations for each client, implement those recommendations, and monitor investments to verify the decisions made to align with the client's best interest. Consistency in the investment management process across your firm's book of business is critical to firms serving as fiduciaries. There is a general consensus among modern-day financial advisors regarding the need to automate and integrate the workflows in their systems. 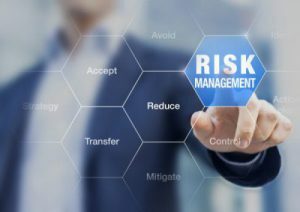 In most cases, financial institutions use different applications or software stacks for individual functions, and the ability to apply a single risk management standard across the whole client base for various business segments and programs strikes as a challenge. 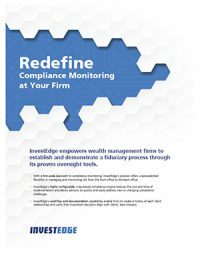 As fiduciaries, wealth management firms must be able to manage and track all investment recommendations to ensure they are in the best interest of their clients. 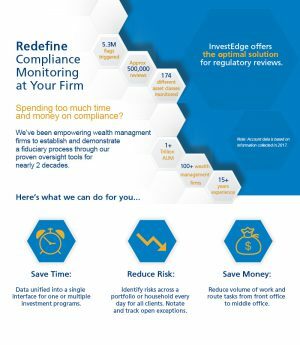 InvestEdge enables firms to create customized investment recommendations for each client, implement those recommendations, and monitor investments to verify the decisions made align with the client best interest. InvestEdge has specialized in fiduciary compliance for nearly two decades. We have equipped thousands of advisors with the tools needed to demonstrate the smart thinking behind every decision on a client’s behalf. At the 2018 ABA Wealth Management and Trust Tina Madel, VP of Solutions at InvestEdge talks about current industry trends in fiduciary compliance. After numerous delays, updates and court decisions, the future of the DOL Rule remains uncertain. 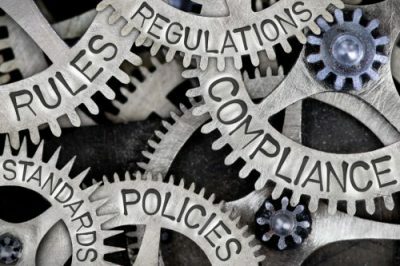 While regulators still have not offered a clear picture of what to expect, advisory firms are using this time to examine their processes and payment structures to ensure they will be prepared to comply.